Thrill. 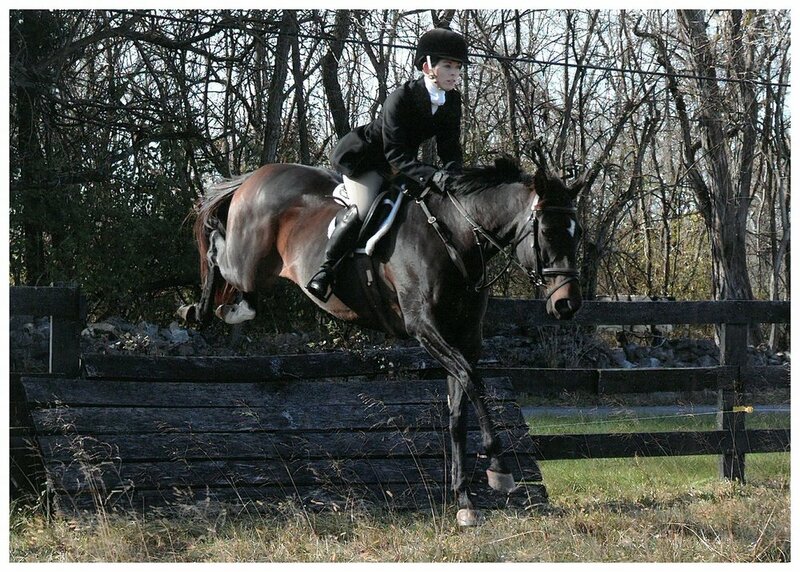 2002 Thoroughbred mare by Clever Trick ex Mirkwood. We found 'Fudge' through some eventing friends and a Facebook ad - we were looking for a second hunt horse for Lee and she was the first, and only, horse we looked at. She did not fit our criteria at all - and she didn't even behave particularly well under saddle, but Lee liked something about her, so we brought her home. Although some unknown past experience has made her dislike ring work, she loves to hack out, and she took to hunting like she'd done it her whole life. She is fabulous in the field, will stand at checks, is great with the hounds, brave to the fences and can go all day. We have hunted her with Bear Creek, Midland, Shakerag & Blue Ridge in just a few seasons. She can lead the field, go in any flight or whip-in. 2016 Grey gelding by *Ruby King Sparrow. Custom foal, sold to Catoctin Sporthorses in VA.
2018 Grey filly by *TBS Declan Pondi. Custom foal, sold to Catoctin Sporthorses in VA.